Having a bad website can be worse than having no website. If your website doesn’t reflect the kind of experience people would expect from a business like yours, they will dismiss you and move on. 2. Everybody is on the internet. 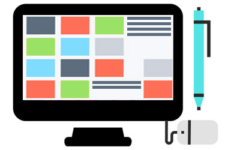 Your website should be bringing you customers. You need to attract people to your website and showcase what makes you special. 3. Having a great website saves you time. By generating leads, providing answers to common questions, and automating tasks (like scheduling or registrations) you can spend your time doing more valuable things. And your website is open 24 hours per day. Having a bad website is worse than having no website. If your website doesn’t reflect the kind of experience people would expect from a business like yours, they will dismiss you and move on. 3. Having a website saves you time. 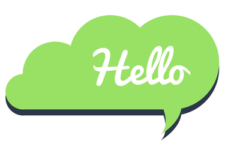 HOW CAN I HELP YOU SUCCEED ONLINE? 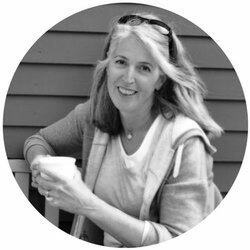 To help you reach your goals, I will work closely with you to design a website you are proud of, drive your target audience to your site, and convert them into loyal customers. 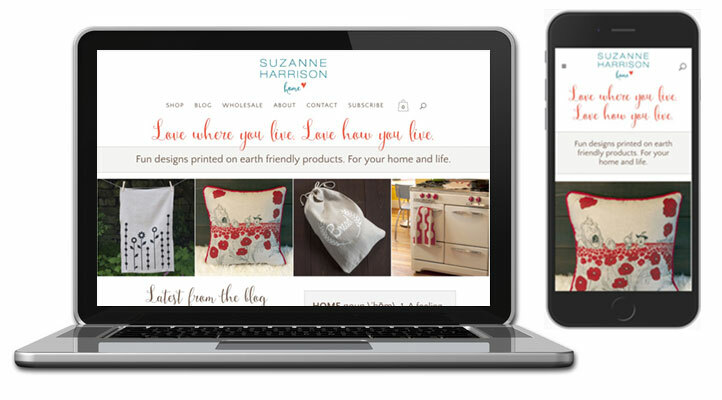 Whether it’s an e-commerce solution, blog, or portfolio, your site will be custom built using the best technology to meet your needs, be mobile friendly, fast, and secure. Success comes from personal attention, understanding your goals and pain points, and forming a trusted partnership. Because two lightbulbs shine brighter than one! You need to drive the right people to your site and entice them into action. Search engine optimization, e-mail marketing, lead generation, and social media integration are great ways to do this. Need some help with an online strategy? Doing it yourself but need a little training? 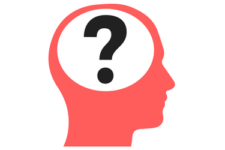 Wondering why your Google rankings are low? Or why your site is so slow? Just have some questions? Businesses change. Goals change. Technology changes. I can support these changes by making quick fixes and changes to your site, and keeping your website up-to-date and secure. What I want most is for people to reach their goals and be successful. If you are doing something meaningful, creating something unique, making the world a better place, I would love to help you leverage the power of the web to reach your goals and make an impact. CTA, a Seattle-based architecture company, wanted a new modern website that reflected their style as well as their shift in focus to architecture & design from design-build. 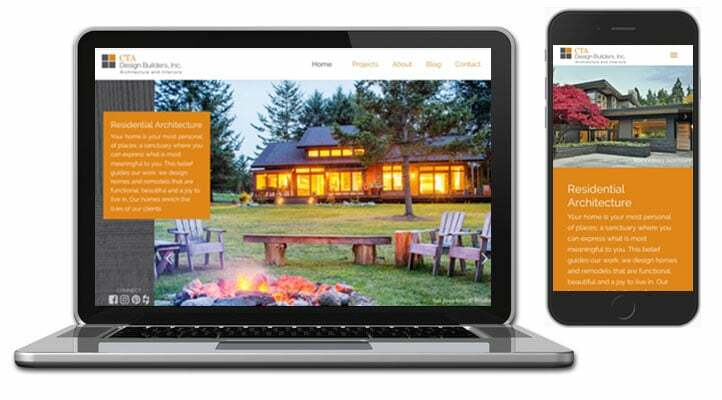 They wanted a site that was mobile friendly, search engine optimized, and most importantly, showcased their amazing portfolio of beautiful homes that they have designed in the Seattle area and the northwest over the past 20 years. This was a pro-bono project I did for a great cause. 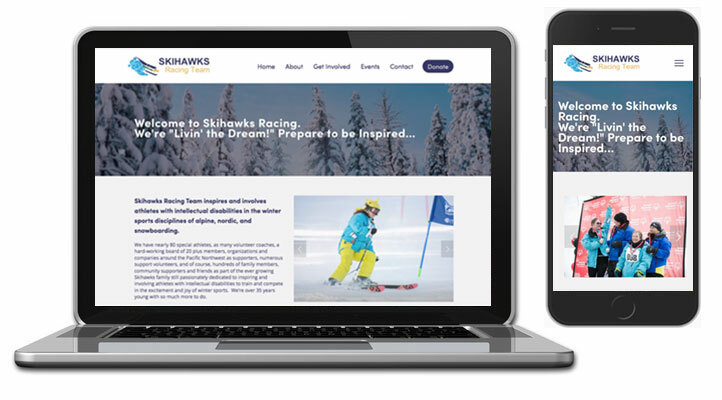 The Skihawks site was working, but it needed a design overhaul, with updated colors, fonts, and and most importantly, an easier flow. The result was an easy to navigate site, showcasing their fun and inspiring photos, while providing athletes, volunteers, and donors with the information they need. 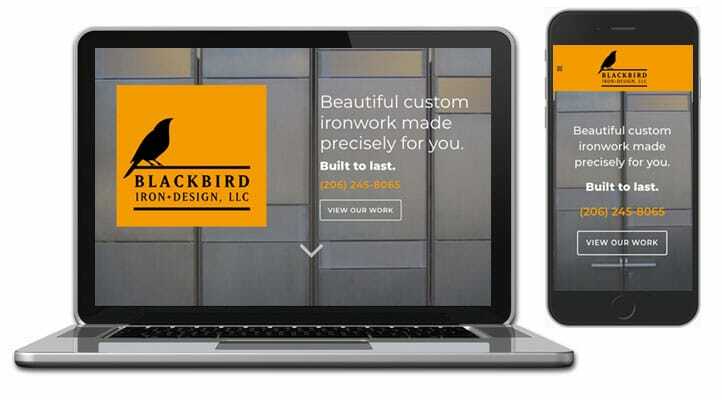 After being in business for almost 10 years, Blackbird Iron & Design needed to update their site to showcase their impressive portfolio of beautiful custom ironwork, as well as improve their search engine rankings, and ensure the site looked great on all devices and screen sizes. 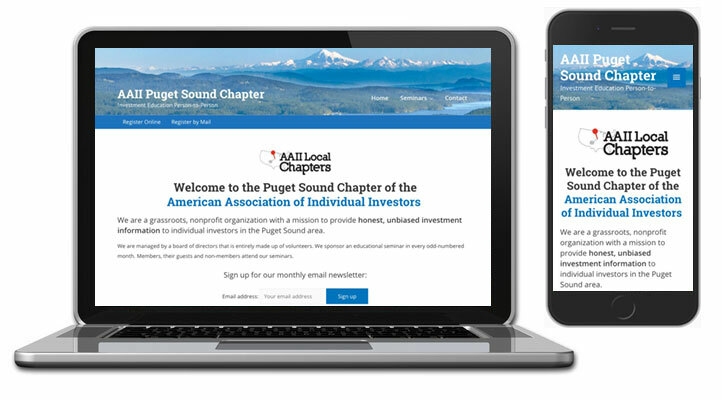 Members of the Puget Sound Chapter of the American Association of Individual Investors wanted a very basic site that provided details about their upcoming speakers, the ability to register online for their seminars, and provided downloadable files from previous speaker presentations. 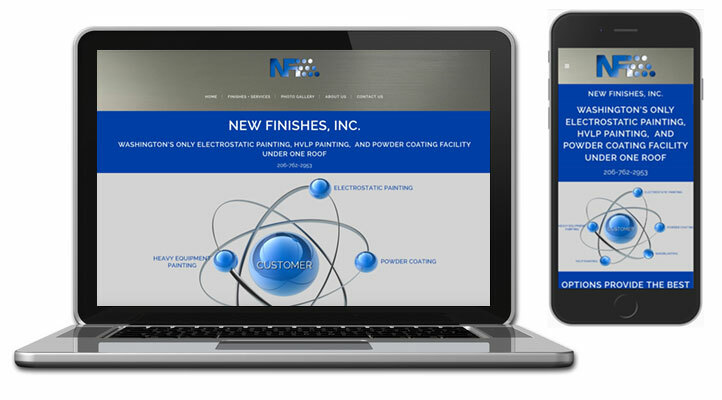 This no-frills site is informative, easy to navigate, and easy to maintain. TODO BIEN! 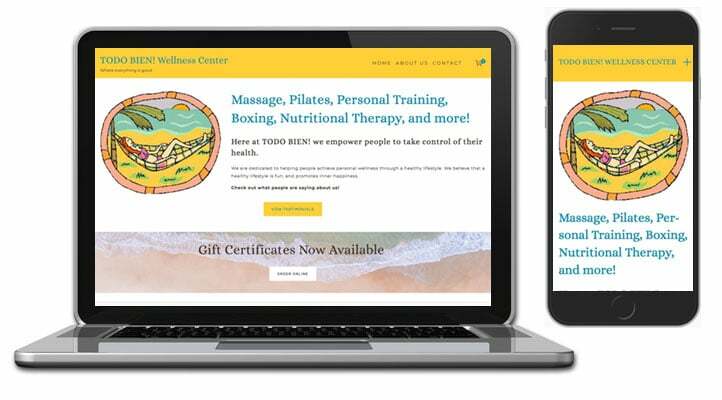 Wellness Center wanted to portray their easy-going, healthy and positive neighborhood vibe, while providing information about their services, and the ability to easily purchase gift certificates for those services. 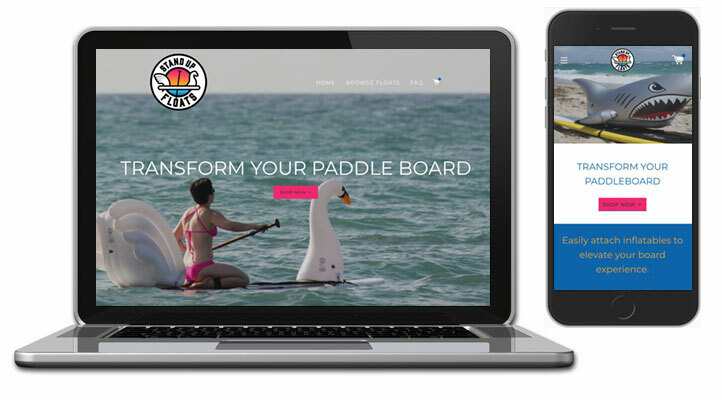 The owner of Stand Up Floats needed an on-line store that reflected his brand, was easy to navigate, and integrated with Amazon Web Services, to sell his fun and unique inflatable creatures that attach to your Stand Up Paddleboard. 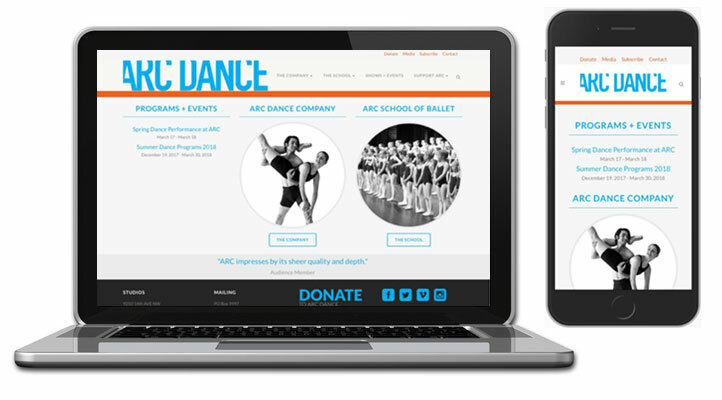 The director of this dance company and ballet school needed a new site that was easy to navigate, easy to maintain, responsive to all devices and screen sizes, and included well organized information about camps, classes, schedules, performances, and events. She also needed an e-commerce solution for on-line registration, ticket sales and donations. Hearthstone, a real estate investment company, needed some design help. 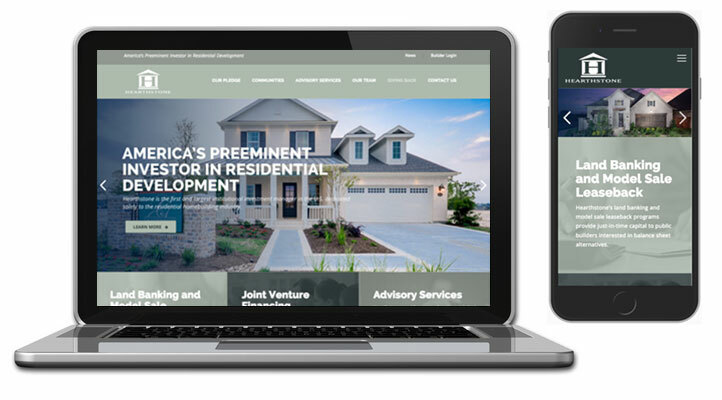 They needed their site to reflect their brand by presenting clear messaging, beautiful photos of their homes, consistent colors and fonts, simple navigation, and responsiveness to all screen sizes. 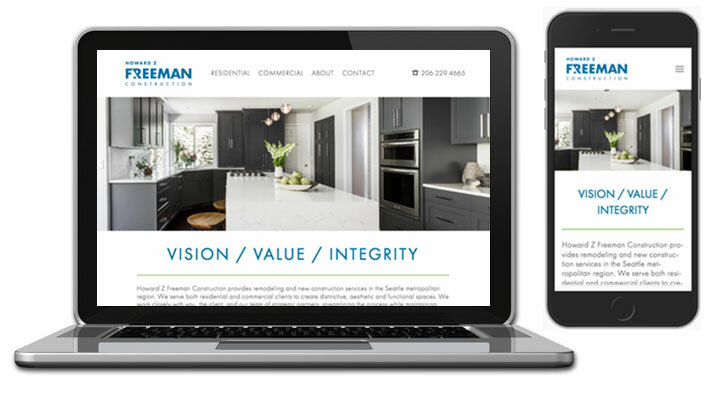 The owner of this construction company wanted a clean and modern website that showcased his company’s experience in creating beautiful spaces, for both residential and commercial clients, with the ability to easily update his portfolio of work. 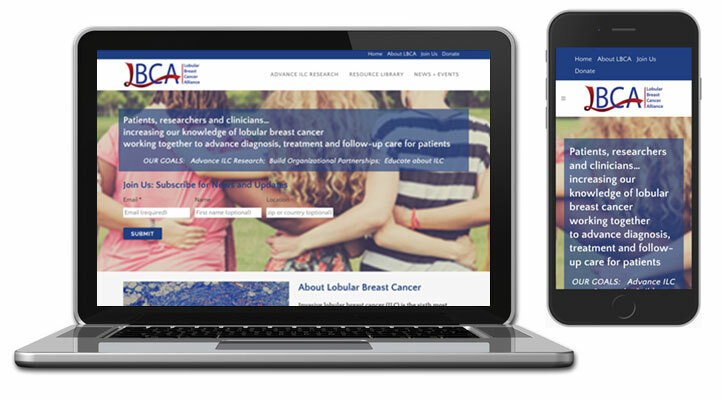 The Lobular Breast Cancer Alliance is an organization that is creating a network of patients, clinicians, and researchers, with the goal of advancing the prevention and treatment of this unique form of breast cancer. This dynamic site is maintained by the founders, and is updated regularly with information about events, clinical trials, and research. Just after launching, hundreds of visitors subscribed. To accommodate Seattle’s population explosion, neighborhoods are being re-zoned. 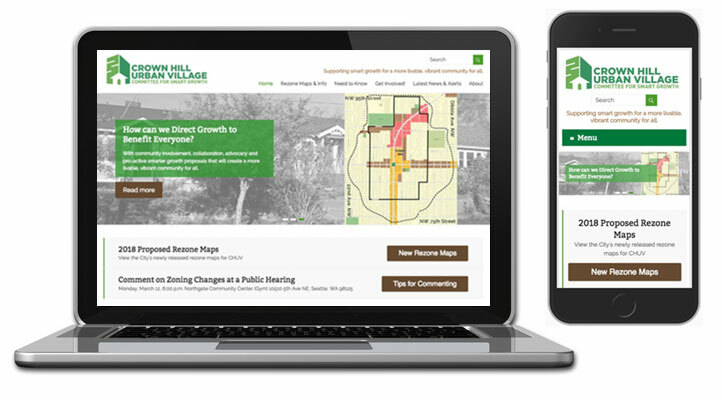 The purpose of this site is to keep people living “in the zone” informed about upcoming changes, and get them involved in advocating for smart growth. Subscribers receive newsletters that contain news, alerts, and upcoming events. Members of the Committee for Smart Growth are able to maintain the site themselves and the site receives hundreds of visitors daily. 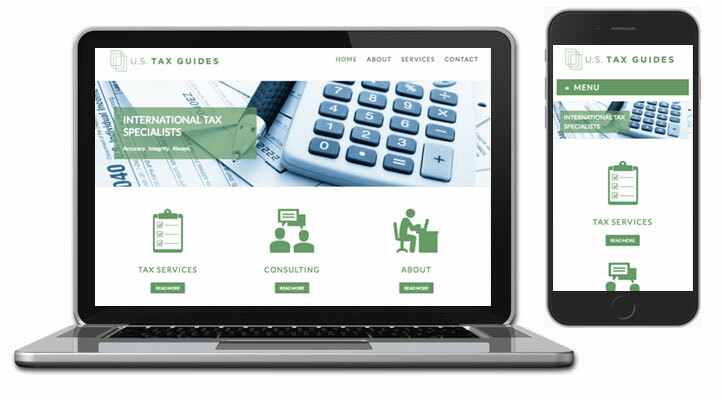 The owner of this international tax services company needed a simple and professional website to give his clients information about the services he provides, his background and expertise, and his contact information. That’s it. 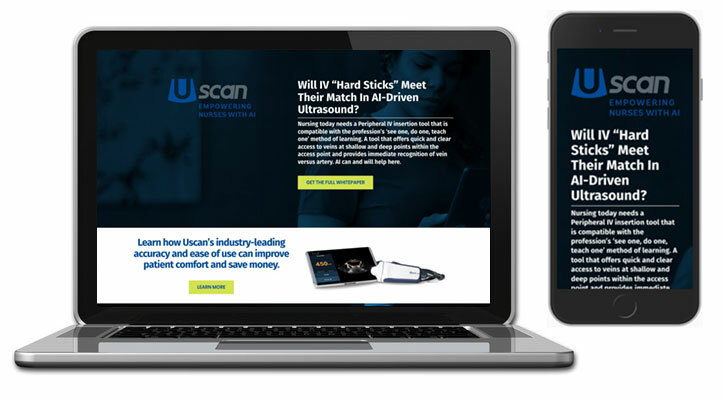 The goal of this landing page is to generate leads by providing valuable information about the Uscan ultra-sound scanner, in return for filling out a pop-up form with contact information. This is my personal site and on-line store where I sell my handmade products. The goal of this site is to showcase and sell my work, and build loyal customers who like unique, fun, and earth-friendly products. It integrates with social media, and allows visitors to sign up for newsletters notifying them of new products, events, and promotions. Here are three steps to getting started. Great content is key to a successful website.